The portable electronic target system can detect and locate shots from supersonic bullets with a speed at the target of at least 1,200 feet per second. The combination of acoustic sensors, temperature sensors and electronics produce accuracy levels of +/- 5 mm throughout the scoring area. The system is capable of detecting both hits and misses and is designed to work both on stationary and moving targets. The bullet can be fired either at 90 degrees to the target or up to 15 degrees from the center of the aiming point. The trajectory of the round registers through shockwave event detection sensors. Multiple sensors are arranged in different patterns, depending on the targeting application. When a bullet generating a supersonic shockwave passes over the sensors, each sensor trips a timer. That information is sent to a master target station which forwards the information to the shot processing computer. The position of each shot is then displayed on a computer next to the shooter. The H-Bar™ can detect and locate shots from supersonic bullets with a speed at the target of at least 1,200 feet per second. The combination of acoustic sensors, temperature sensors and electronics produce accuracy levels of +/- 5 mm throughout the scoring area. The system is capable of detecting both hits and misses and is designed to work on a stationary target where the bullet is fired 15 degrees to the target. The H-bar™ is designed to be a mobile target system. 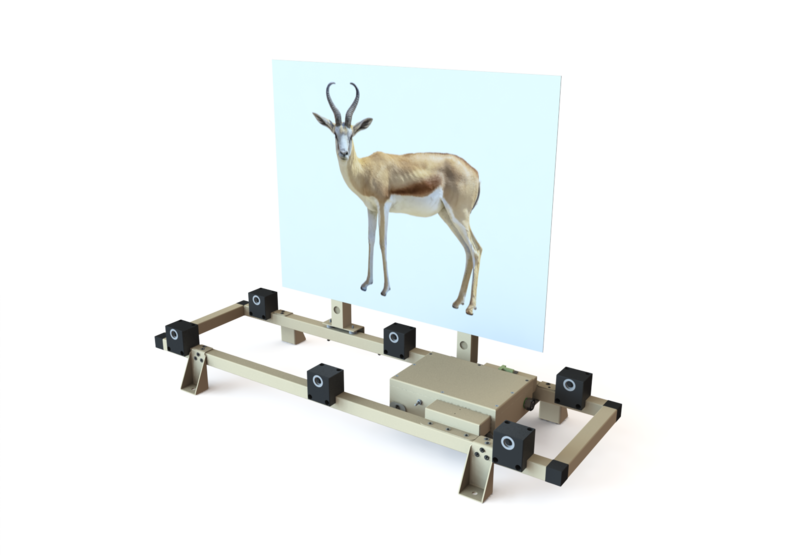 Due to popular demand, our H-Bar™ Portable Target System is now available with realistic animal images for hunters who want to take their training to the next level. This system is perfect for hunters, outfitters and clubs interested in real-time feedback during long distance target practice. From weekend shooters to the most seasoned competitor, Oakwood Control’s H-Bar™ Target System provides precision, speed, and convenience for all users. Individuals will enjoy rapid feedback, while clubs and commercial ranges can boost business efficiency, as members and customers can spend more time shooting and less time checking targets. The system can be permanently installed and powered using 12V cabling or can be portable, powered by rechargeable batteries, for storage when not in use. 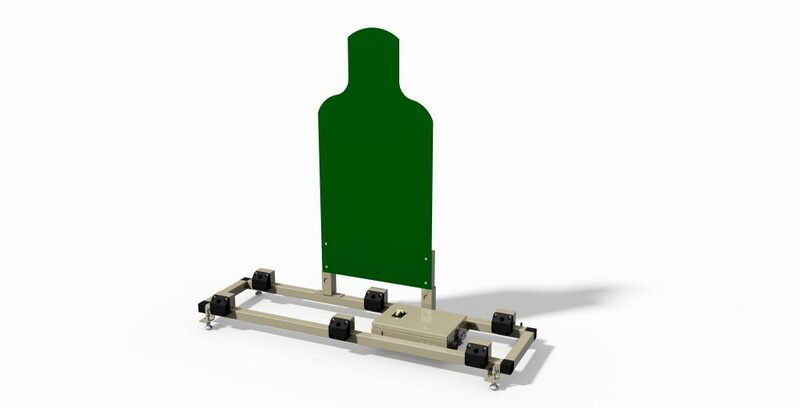 Contact us to learn more about our portable target shooting system.